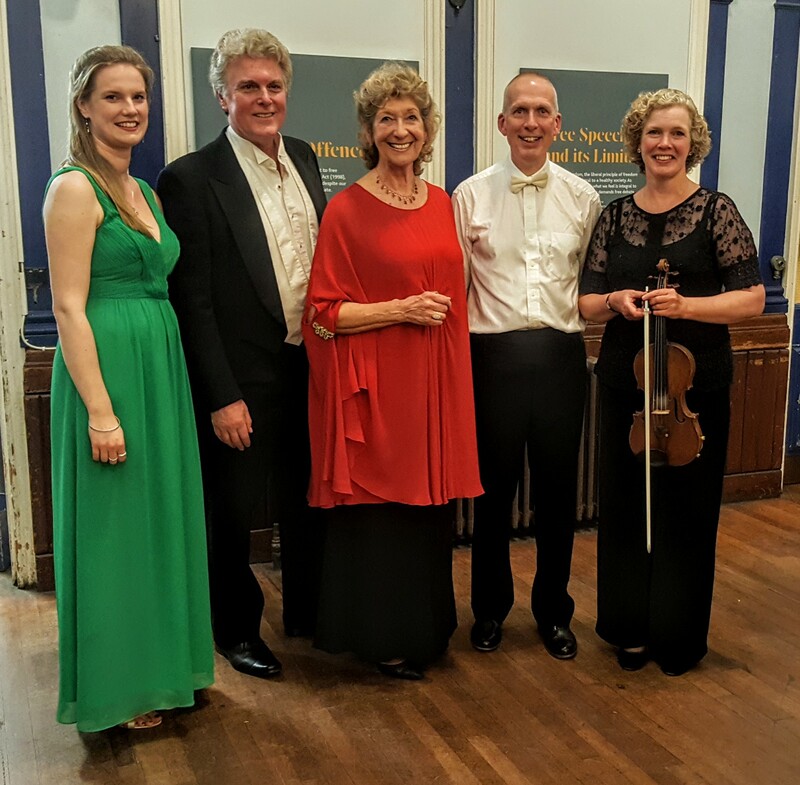 At the end of our ‘sell-out’ performance of Mendelssohn Hymn of Praise in Lewes Town Hall on 5 May, the three soloists, Shona Knight, Paul Austin Kelly and Dame Felicity Lott posed for a photo with Conductor Nicholas Houghton and orchestra leader Maeve Jenkinson. The concert was a triumph in many ways. Many of the audience as well as other performers felt the choir has ‘never sounded better’. And of course the orchestra and soloists were excellent in all respects. The choir goes from strength to strength and we now look forward to singing in Ghent Cathedral on 30 June, and then our next season including guest stars John Tomlinson (Bass) and Crispian Steele-Perkins (Trumpet) on 15 December. Later in the season we will be joining with South Downs Youth Orchestra for a performance of Orff’s Carmina Burana in June 2019. This entry was posted in Announcements by nickh. Bookmark the permalink.